Free Valet for up to 3 hours. From Kalakaua Ave turn on to Paoakalani Ave. Turn into the hotel port cochere/driveway. Live entertainment nightly by established and emerging contemporary Hawaii musicians. Music starts around sunset and goes until 10pm on weekdays and 11pm on weekends. Tiki’s offers several different venue and catering options for your event, just call our Events Coordinators, Jenni or Jennifer at (808) 923-8454, or send us an Email to events@tikisgrill.com to start planning your celebration! WOW your guests with award-winning cuisine in our open-air restaurant with a front row seat of Waikiki Beach. Celebrate on the Lanai with spectacular views or the dining room Lava Tube with festive island flair. Receptions, rehearsals, welcome cocktail parties & more. 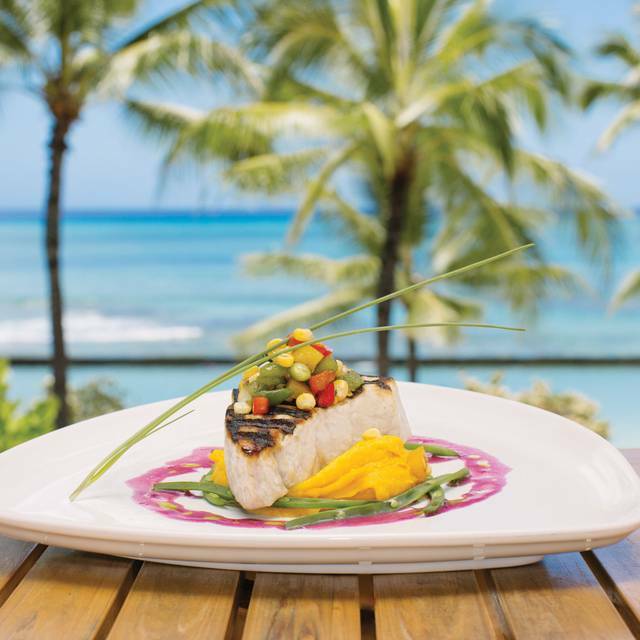 A hip, open-air restaurant with a retro South Pacific vibe, Tiki's Grill & Bar features a menu that highlights Executive Chef Ronnie Nasuti's passion for sourcing fresh fish and meats, locally grown and farmed ingredients. The restaurant appeals to locals and visitors alike, as it boasts live local musicians 7 days a week and free valet parking. Tiki's provides an American and Pacific-Rim fusion menu with flavors of the islands, as Chef Ronnie continues in the tradition of the Hawaii Regional Cuisine movement. 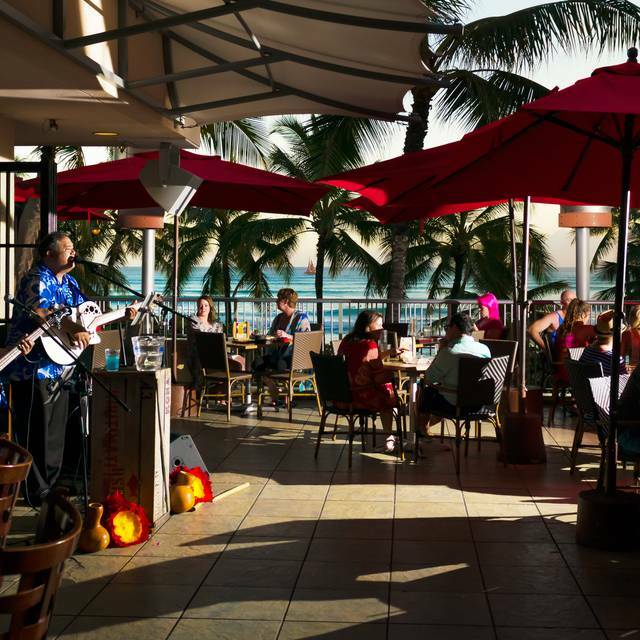 Tiki's is located on the 3rd floor of the Aston Waikiki Beach Hotel, and offers indoor and outdoor seating where you can catch beautiful ocean views and breathtaking sunsets overlooking Waikiki Beach every evening. Free Valet Parking. Crunchy dumplings of marinated minced beef tenderloin tips & choi sum with chili aioli. Coconut & panko coated jumbo shrimp, housemade sweet chili sauce. Flash-seared prime rib cubes, pipikaula aioli, Kunia Country Farms (KCF) greens. Taro tortillas, housemade kalua pig, melted pepper jack, Kahuku corn relish, guacamole & salsa. Kiawe wood-smoked pork, caramelized island onions, pineapple, guava jelly. Steamed edamame, togarashi pepper, white truffle oil, beurre blanc, Hawaiian alae salt, fried garlic, soy glaze. Panko-crusted calamari steak strips, capers, lemongrass butter sauce, blue crab & shrimp salsa. Fresh raw yellowfin ʻahi tuna with soy sauce & sesame oil, limu & local baby arugula. Thinly sliced & marinated beef ribeye on a cast iron skillet. Tender Mari's Garden (MG) butter lettuce, sesame bean sprouts, ko chu jang dipping sauce, glass noodles & housemade kimchee. Minced raw island ʻahi with Kula onions & capers over avocado, sunny side quail egg, served with crostinis & Hawaiian chili harissa. Palusami style Hawaiian luau leaf & coconut custard, blue crab & three cheeses, with tricolor corn tortilla chips. 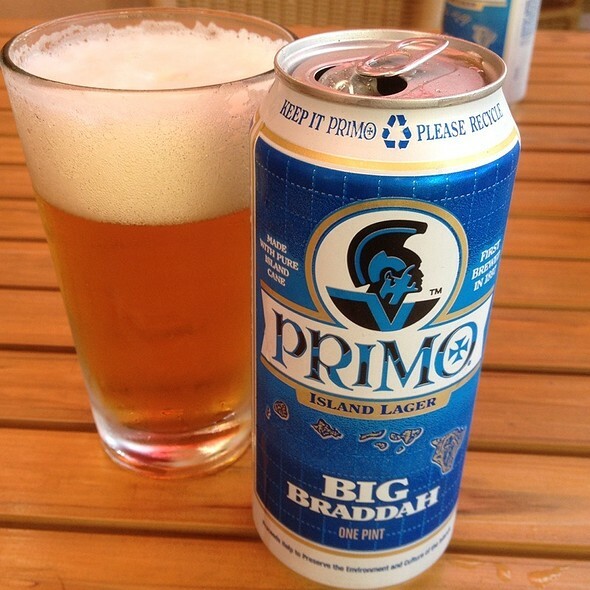 Tiki's strives to support local. Mari's Gardens (MG) is an 18-acre aquaponics and hydroponics farm in Mililani promoting sustainable living & organic urban farming. Kunia Country Farms (KCF) in Central Oahu is one of the island's highest producing no- impact, sustainable growers of leafy greens. The mission of Hawaiʻi Agricultural Foundation is to support and sustain Hawaiʻi's agricultural industry by addressing critical needs and services of farmers and the agricultural industry, and by better connecting the farmers with the community and vice-versa. Baby whole leaf MG romaine lettuce in a buttery baguette ring, creamy caesar dressing, Parmesan brittle. Vine-ripened Hauʻula tomatoes, mozzarella, yukari, KCF micro basil & shiso, balsamic reduction. Island-grown watermelon, Mama's garden mint-olive pesto, Mari's Gardens (MG) micro basil & shiso, dark balsamic, extra virgin olive oil, feta & chili harissa. Grilled shredded chicken breast, iceberg lettuce, crispy noodles, macadamia nuts, shredded green papaya from Mama's farm, onions, chili lime vinaigrette. KCF baby greens, cherry tomatoes, mandarin oranges & house lilikoi vinaigrette. Seared fresh caught ʻahi tuna, white shoyu- wasabi sauce, mango namasu, bamboo rice. Fresh island catch, shellfish, lobster, Arborio rice, edamame, shiitake, star anise saffron cioppino broth. Marinated & roasted butterfish filet, brown rice, MG greens & miso hot mustard yuzu vinaigrette. Over orzo pasta, mushrooms, spinach, diced tomatoes, lemongrass cream sauce. Ask your server about the fresh catch. Duet of fire-roasted filet mignon with Kahuku sea asparagus poke, Cabernet demi-glace, smoky taro purée & buttery baked Maine lobster tail. Pineapple pepper relish, roasted pepper vinaigrette, Molokai potato lumpia. Seared large shrimp in garlic & butter with spicy Thai-style San Marzano tomato sauce, capers, Thai chilies, Kalamata olives, touch of red curry with spinach over linguine. Teriyaki grilled salmon filet with truffle-scented Yukon Gold mashed potatoes, tempura bubu arare asparagus & rice wine nori sauce. Beef striploin with truffled island corn, scalloped potatoes & caramelized shallot three-pepper butter. Full rack of St. Louis-style baby back ribs glazed with guava barbecue sauce, with french fries. Slow-cooked boneless beef short ribs, wasabi potato purée, soy braised island root vegetables, Mama's farm daikon, tsukemono. Grilled Small Kine Farm Portabella mushrooms, bell peppers, zucchini, eggplant, spinach, marinara sauce, topped with fresh mozzarella & trio of pepper coulis, red quinoa salad. Pan-roasted lilikoi-glazed duck breast & leg with Kula onion marmalade, Molokai potatoes, honey gingered carrots. Pan-seared parmesan chicken, broccoli, linguine, sun-dried tomato chardonnay sauce. *Consuming raw or undercooked meats, poultry, seafood, shellfish, or eggs may increase your risk of food borne illness. Our Mother's Day Brunch Buffet features all you can eat snow crab legs, an omelet station, pancake and French toast bar, and hand carved prime rib. Join us on what is becoming a favorite day for guests to visit Tiki’s. Make your reservations early! We are on vacation here in Wakiki. The food at this place is horrible. Absolutely disgusting. My son and I ordered a fish dish. We both took one bite and were done. Should be a bar only. Great view and food is average for the value compared to other restaurants around (such as Duke’s). Had a couple of hula girls dancing but the live music accompaniment was a cheesy 2 man band performing cheesy Hawaiian music like Vegas 70’s tunes. Great food and perfect view of sunset. Would recommend the seafood risotto or lettuce wraps. Interesting menu offerings. Beautiful view of Waikiki. Nice servers. I had the trio: mini buns with fish, beef burger, and kaulua pig. It was very good. We had a crepe desert that was fabulous. It was layers of crepes with whipping creme in between layers. Try it as you will love it. My husband had a watermelon/goat cheese salad that he really enjoyed. It is a nice place - make a reservation. The view is worth giving this gem a try. Made reservations for my wife’s birthday and “assumed” we would be located in the restaurant area vs the bar area ( in from of the band). The music was great but we were unable to converse at our table. The back portion of the restaurant was taken by a private party. Had I known this we would have made other arrangements and come to Tikis another time. Tasty,food, good service, and ocean front table! Very enjoyable experience. Great food, cocktails and service. Would definitely recommend. Excellent food and friendly staff. Great views of the ocean. Hosts were all amazing and attentive. Would definitely recommend! We had great food and a wonderful view of the beautiful sunset. We would definitely go back again! Best taro rolls, cocktails and fish entrees. It was our last night in Honolulu and this was the perfect spot to end our trip. The food was amazing! We had the seafood risotto and the catch of the day and both were delicious! Great service and location/view. Good quality was below average and overpriced. We love Tiki's! We dine at Tiki's at least once or twice every time we visit Oahu. Their taro bread rolls are to die for. As is the garlic edamame! Little over priced, but that’s just Hawaii for ya. Food was great. Waiter was outstanding, very attentive and informative!!! Terrific dining location, ambiance, server and food. We loved it. They did not meet most of our requests even though I contacted the restaurant in Advance. Great ambiance; decent but overpriced food. It was good times for the party we had; service could be a little better, but overall good experience..
We come there every year we vacation in Hawaii. It has become our favorite place for dinner. Food and service are awesome! If you have a reservation for around sunset, make sure you ask them for a table on the edge. They only give those tables to people who specifically ask for them or make an issue of it. Laid-back restaurant with ocean views. Food exceeded my expectations. Great sunset. Food was pretty good, but way over priced. It’s a chain, so you kind of get what you’d expect from a chain. They come take a “free” picture, and then try to sell you it for $20. You order their famous mai tai and they try to sell you the glass it comes in. But the service was great and the view of the sunset over Waikiki unbeatable. Really nice night out with friends. Waitress had no problems with my menu revisions, and didn't upcharge me for a change from pasta to veggies. The setting has all kinds of ambiance...we had a great night. I recommend to no one because I am not your marketing department. 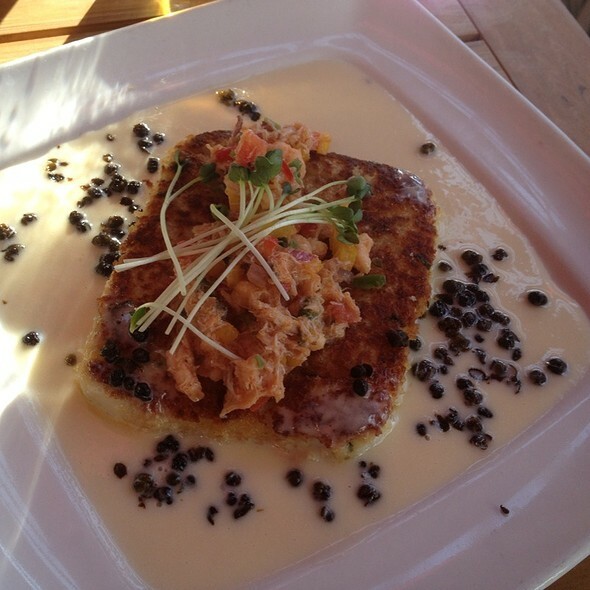 We had a wonderful dining experience that exceeded our expectations. One thing most important was one of our party was having issues and not feeling well. When asked about what would help to make her dining experience exemplary in light of her situation it was perfect! There was a clear broth delicious vegetable, chicken soup with lemongrass and other seasonings but just the right amount for her digestive delicacies that day. They also offered just an order of the Molokai sweet potatoes with a light coconut milk for her other choice. It was perfect. We so enjoyed a preview of the St. Patrick’s Day spring rolls with that amazing house cured corned beef by your Executive Chef Ronni Nasuti utilizing local Kunoa Beef. The cheese sauce with Guinness was a triumphant way to dip and roll those pieces in extreme decadence. We had a Poisson Cru in pot cones that was subtle but with underlying notes on the palate that complemented the beautifully subtle ingredients letting the fish speak for itself with a strong voice. We were so lucky to have Sarah as our host for the evening. Her knowledge and well paced non-intrusive participation in our dining was just what we needed. She knew everything that we wanted to know through questions and added pertinent information that helped us want to try the menu items by her enthusiastic way of describing the vision of the kitchen. We loved the fresh catch, oh my! The guava glazed ribs were so perfect!!!!! Nice crispy outside and fall off the bone texture without being “mushy” as can be the case. They were happy to let me have the wasabi mashed potatoes instead of fries which was the perfect combination. We sat outside, the temperature was great, we had a great view. We were staying at the Halekulani for the weekend. The next day we saw our favorite pool host from House Without A Key. As we were ordering our breakfast the famous Mai Tai’s he asked “what did you do last night for dinner?” He recommends you to guests! We ordered braised lamb shank for our entrees because it is one of our favorites. It was not properly prepared, should be "fall off the bone tender", it was inedible. The waiter was very gracious and quickly offered us anything else on the menu which was then delivered by management with apologies. The food was adequate. A classic Tiki experience. Waitstaff was very prompt, friendly and courteous.